Educational spending for just these twelve countries combined is about $1.8 trillion, representing a massive investment of time, money, and resources to educate our children. And yes, this chart is only spending on school-aged children. Since the cutoff point is age 23, it doesn’t represent higher ed spending at the graduate level. And it doesn’t actually represent our total spending on education, which includes a host of para-educational industries involving numerous vendors for everything from food to technology, the administration and scoring of certification tests, video production, spending on supplies, child care, and more. Educational institutions are facing an increasingly aggressive barrage of vendors hyping new technologies, and too many administrators are looking for technological magic bullets — because education doesn’t seem effective enough, salesmen selling new tech are more convincing than teachers saying they would like some support (but they need it). How is the United States doing? We’re number one in spending (of course), number three in literacy, number five in number of years spent in school, number ten in math, and number nine in science — and okay, now I see why Obama is emphasizing math and science education. Because we’re spending massive amounts of money already, and then trying to fix our educational shortcomings by spending even more massive amounts of money (just in new ways), I think we’re forgetting a few important things here. Are you impressed yet? We could add a calculator too, but well into the 1970s people were still using slide rules to do some of their advanced calculations. Anyone remember slide rules? 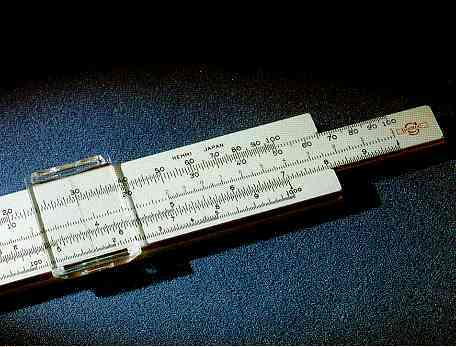 Because my father is an electrical engineer, slide rules are a childhood memory for me. 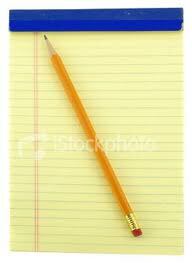 But, I never learned how to use one. I grew up using calculators for advanced math. So I’ll grant you a pad, a pencil, and a calculator, and you can make that calculator the most advanced graphing calculator that you want. That’s more than the minimal tech that we needed to educate our students throughout most of the twentieth century — which was the century that began space exploration, developed nuclear weapons, invented the computer, the internet, lasers, advanced study in genetics, magnetic imaging… the list goes on. For the most part, there was no such thing as online education until the last ten years of the twentieth century. There were no MOOCs, no educational research, and no brain research supporting it. For most of the twentieth century most of our educators didn’t have degrees in education. Most students in the US didn’t even work on computers until the last twenty years of the twentieth century. We made these advances using, horror of horrors, a host of “failed” practices, such as lectures delivered in lecture halls, but it does appear that students managed to learn. Why? Because education is a naturally occurring phenomenon, and as it occurs in nature, human beings were teaching other human beings. Of course, people even today are educating students with a lot less than what most people reading this blog have now. What I would like us to do is forget for a moment about education as an industry, and education as an institution, and think about education just as human beings. You might remember sitting in your mother’s or father’s lap as they read to you. You might remember learning how to throw a ball. You might remember enjoying a good book, learning how to draw, finally understanding math. The point is that learning is fundamentally pleasurable. Learning is one of our great natural sources of pleasure. It can be that way in school, too. I would like to encourage students reading this blog to try to extend the pleasures of learning to the classroom, and I’d like to encourage teachers reading this blog to consider how we can encourage the pleasures of learning within institutional settings. I think this change will require thinking very differently about education, though — in some cases, it might mean completely changing our thinking about education. First, students do not work for teachers. Students work for themselves, and teachers work for the good of students. Students are not the teacher’s employer, however — teachers are employed by and accountable to a system, but their work within that system is for the benefit of students. When students think of their teacher as their employer, their time in school is nothing more than putting in time. What I tell my students, though, is that their minds are like muscles: when they work them, they get stronger, and when they leave them alone, they atrophy. In practical terms, every time teachers assign reading or writing or any other kind of homework, they are creating work for themselves. Assigned reading is reading the teacher needs to do and assigned papers are papers that the teacher needs to grade. Teachers don’t receive any personal benefit from grading student work — trust me on this. Teachers who assign meaningful work and provide meaningful feedback are working for their students. Teachers who do not are working for themselves. The doing of the work and the grading of it is all for the student’s benefit. Next, teachers grade student work, not students. I quit letting my students tell me that “I gave them an A on this paper” a long time ago. First, I didn’t give them anything — if they received an A, they earned an A, and I try to help them understand their grade by reviewing and explaining my rubrics and applying it to their papers consistently. But more importantly, I didn’t give them a grade of A. I assigned that grade to their paper. I’m not grading the student, I’m grading the student’s work. Furthermore, teachers grade student performance, not student ability. Did you write a really bad paper? Did you write it the night before it was due? Do you really think that’s your best work? Of course not. But, sometimes it is, and sometimes our best work is bad, but even then, doing bad work is part of the learning process. Since teachers don’t grade students, but student work, grades are at most an indication of student’s progress on that specific assignment, not a global assessment of their future potential. An F grade does not necessarily mean an F student. My suggestions here have to do with developing productive ways of thinking within the system, not with changing the system itself. I do think the system needs to change, and in a lot of ways. You can read my ideas for systemic change in other blog entries.